So thankful for another beautiful Monday! This past weekend was one of the rare ones. I had the opportunity to spend time with my mother and sister as well as with my adoptive family (my husband's family). 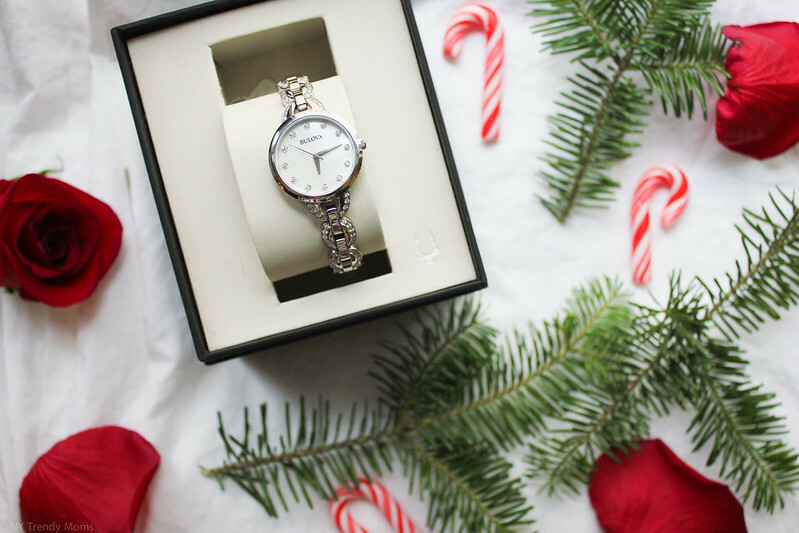 It reminded me about the beauty of the Holidays. Which brings me to todays post, gift giving. Remember that the happiest people are not those getting more, but those giving more. Estoy tan agradecida por otro hermoso Lunes! Este fin de semana pasado fue uno de los raros. Tuve la oportunidad de pasar tiempo con mi madre y mi hermana, así como con mi familia adoptiva (la familia de mi marido). Me recordó de la belleza de los días de fiesta que consisten en pasar tiempo con la family y compartir. Lo que me lleva al puesto de hoy, regalar regalos. Recuerde que las personas más felices no son los que reciben más, pero los que dan más. 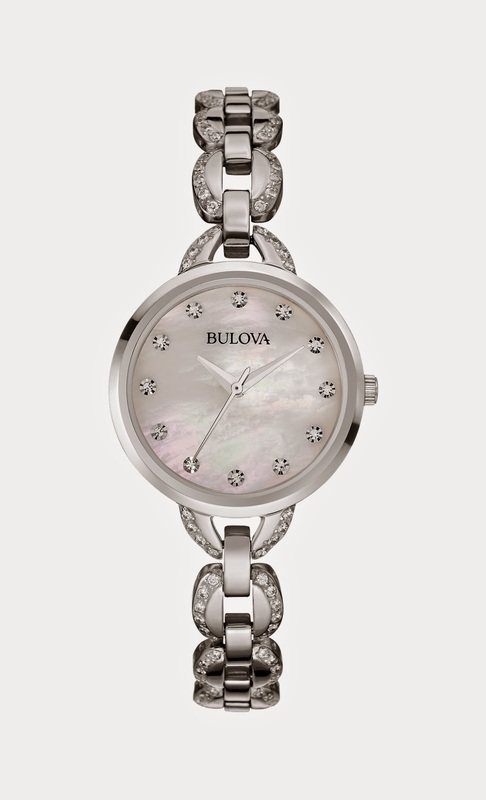 This stainless steel watch by Bulova from the Facets Collection (style #96L203) has 100 faceted crystal stones individually hand-set on case and white mother-of-pearl dial which gives plenty of reasons to show the receiver how much you love them. 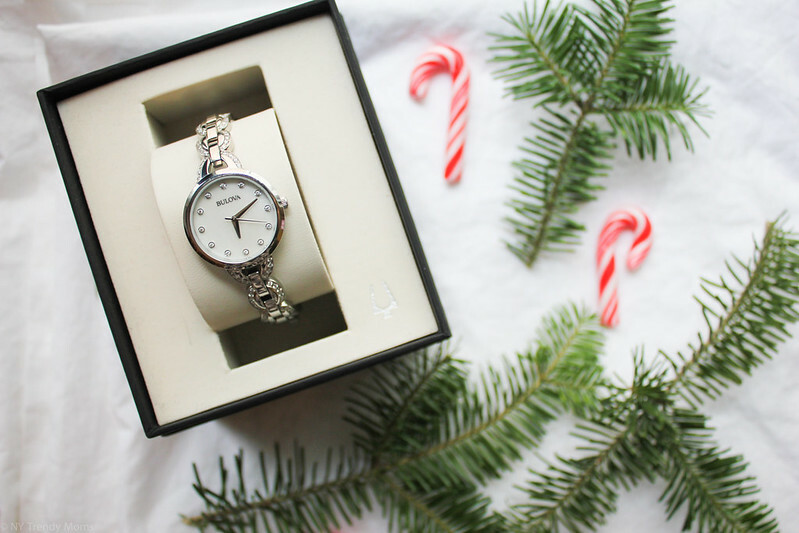 This watch doesn't compare to any watch I've previously owned. It's light, luxurious, extremely versatile and reasonably priced ($325). 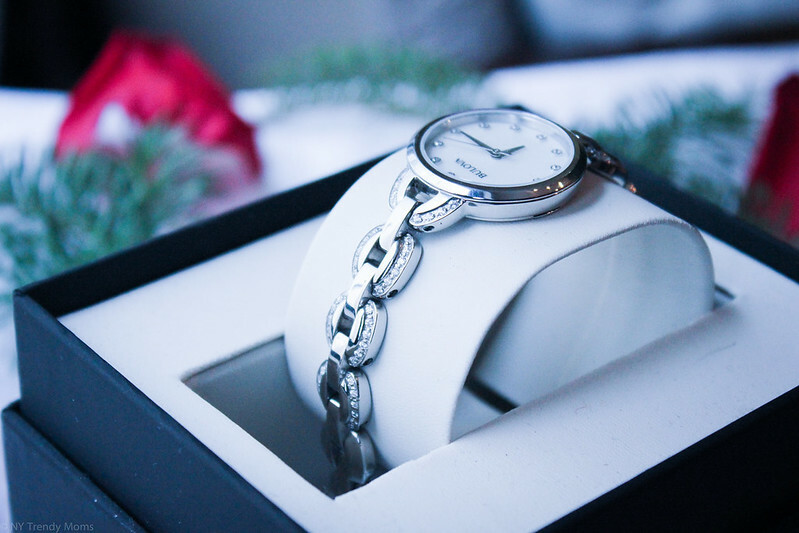 Did I also mention it's water resistance to 30 meters and includes second hand, E-Z link adjustable clasp? 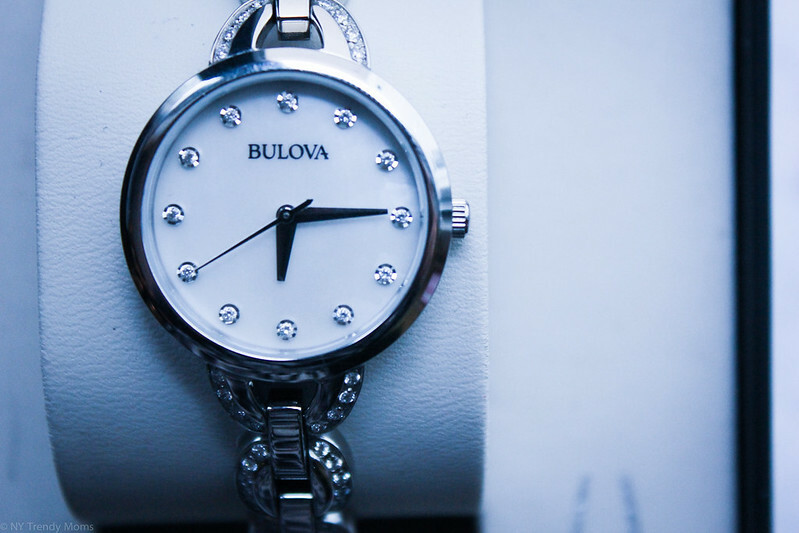 Bulova also offers beautiful time pieces for men. 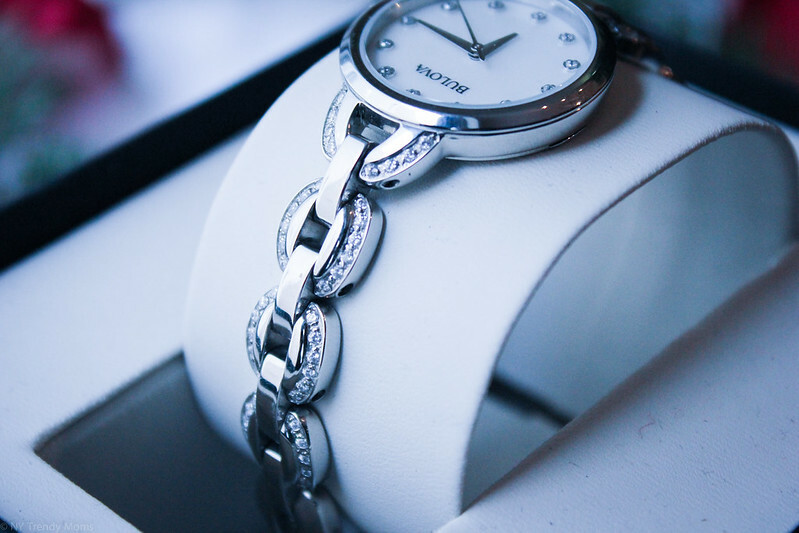 You can see how I styled my watch to an InStyle event here. Este reloj de acero inoxidable de Bulova (estilo # 96L203) cuenta con 100 piedras de cristal individualmente colocados manualmente que le da un montón de razones para mostrar al receptor cuánto usted lo/la ama. Este reloj no se compara con otro reloj que he tenido anteriormente. Es ligero, lujoso, extremadamente versátil y a un precio razonable ($325). Ya mencione que es resistente al agua hasta 30 metros? 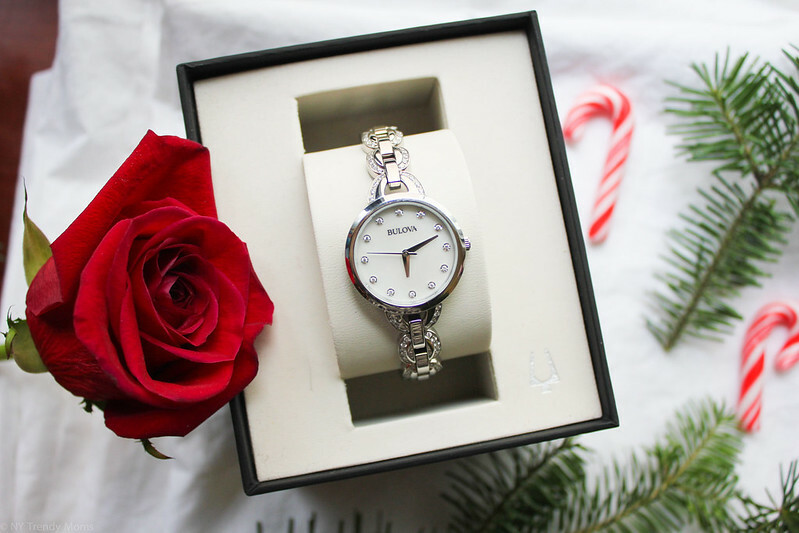 Bulova también ofrece hermosas piezas de tiempo para los hombres. 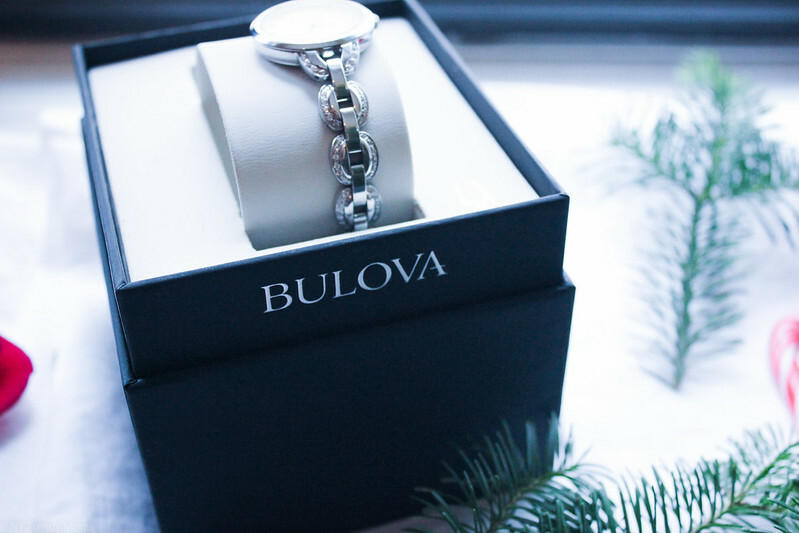 This post is a collaboration with Bulova. As always all opinions are my own. Thanks for supporting the brands and collaborations that make NY Trendy Moms possible! Dominican Republic + JetBlue Giveaway! !